There IS a market and they ARE expensive, but that's because they're a fad not because they're a nice or quality animal. Any 8 year old broodmare is worth only as much as her paper, and the foal, yes may be valuable *due to popularity* but that's not the same as a truly valuable animal. Yick, personally would NOT want to encourage those fads. It's a grade foal really. 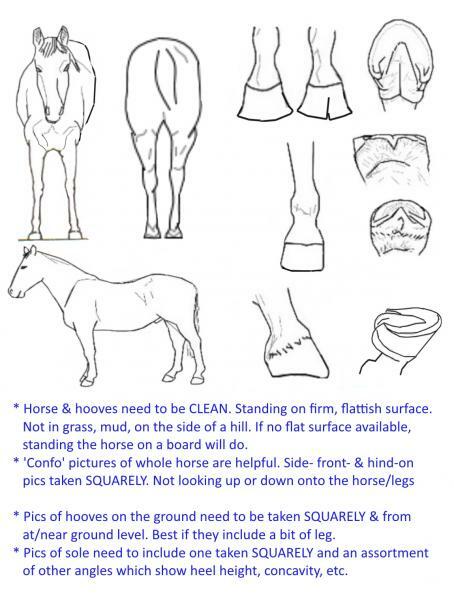 If you like the mare and are willing to put in all the resources and care until weaning (and do start marketing the sooner the better) I would pay what you think THE MARE is worth and not too much more. $5/6k IF she is well handled and a good prospect AND has good quality and papers for breeding (that IS what you're buying after all a broodmare, and her worth will effect the foals worth) I would think. Personally I'd pass completely. Draft horses tend to be sweet but I don't see why people buy them for pleasure horses over a smaller horse unless they're REALLY set on a draft. As said EVERYTHING is more expensive, plus they aren't designed to be riding horse. Even if you really want a Clydesdale THIS one sounds like an awkward situation. Buying a mare in foal with plans pre purchase to sell the foal is just begging for something to go wrong. Definitely get a good look at the sire too. loosie and akihba like this. Reminds me of the start of Lethal Weapon that I watched recently with my kids(it's still good!). I don't mean to be a debbie downer. Haha! Debbie Downer! Good one! Yeah, I'm sure we're not the only poor horse people Trail... The most exxy horse I've ever bought(I didn't tell my hubby what he cost) was $800 & unbroken - my haffy brumby - but I knew him well, having done his feet for a while as he came from a client of mine. And I was able to train him myself... tho my suspicions that he'd be quiet & easy came true better than I hoped even - kids were on him on lead within WEEKS and my eldest who was 11yo at the time, riding him off lead within a month or so! akihba and Whinnie like this.